The different types of display ads, video ads, email ads, mobile ads, radio ads, and tv ads monetize and revenue share data report. How much does it cost to advertise average CPM(cost per impression) estimated rates based on internet platforms to put an ad on a website which relevance to your advertising campaign? That delegates the current price today, and understand the common problems as an internet entrepreneur. Brand owners, who are potentially targeting consumers for your business in different campaign latest average CPM rates by channel through the practice of search engine, direct emails, apps, videos, display ads websites, ad network, desktop, and mobile platform could possibly calculate the total adspend pricing per CPM? CPM(cost per thousand) advertisements impressions signifies based on marketer value, who typically targeted display ad campaign, which means you will pay for every 1,000 ads impression in one webpage your campaign display seen actively. When blogger publishers, middleman advertising companies have a standard tariff cost of $5.00/CPM ad campaign budget to every brand owners/advertiser. It means you will pay $50.00 for every 10,000 ad impressions that relevant you're targeting 'keywords' of your ad display campaign through your consumers. The average CPM rates 2017 by industry for mobile monetization revenue start $1.20 on US mobile traffic minimum of $5.00 per advertisers spent budget. Desktop average monetization CPM rate starts from $0.10 up to $6.00 depending on bidders budget and niche content. The more content competition the lower monetization revenue share. !!! !Remember, any CPC actions to your ad display campaign, are not cover of these estimated cost rate reviews. Meaning, advertisers and brand owners must pay $5.00 for every thousand of impressions, your ad will be displayed on websites and will be seen by consumers without any actions. On advertisements engage to any consumers, readers, researchers who are engaging in your ads in a particular web page will lead you to additional charges. The price cost will depend on advertiser's budget per leads. There are different ways in campaign advertising, it can be the advertisers and brand owners will contact directly the content publishers, video hosting companies, or even social media sites, or ask directly for business ad display proposals. RTB advertising (real time bidding) is one of the best options in campaign strategy. You can buy all website traffic pageviews and impressions weekly, monthly, or even yearly inventory banner campaign that can be actively seen in webpage. It is also similarly based on your ad campaign, may lead your ad engagement to become profits, to install, buy to increase (ROI) return on investments. 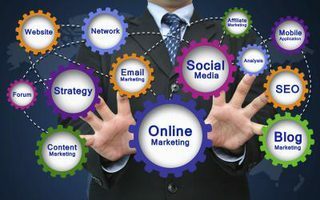 Middleman advertising network companies - is one of the reasons your campaign as a (brand owner's) reach and connect to content publishers, serve display banners, video, link URL ads may lead the consumers to engage and become(ROI) total calculation. ROI Calculation Formula for CPA, CPM, CPI, CPC. Best calculator formula to gain salesforce profit to every campaign. To calculate into the right calculation, you must simply take the gain of an investment, subtract the cost of the investment, and divide it by the total cost of the investment spend. See example estimated ad campaign budget - ($100 → 40% ad spend share → 60% monetize revenue share = ROI(return on investments). Advertising network sites, who are guaranteed, trust and worthy companies operated online industries since decades. The companies willing to help and protect your investments to reach your goal as successful internet investors. Google - (Youtube, Adsense) display ad CTR, the Average Click-Through Rate for a PPC Ad? the estimated average click-through rate on AdWords paid search ads is referred 2%. consequently, as a result over two(2) may be thought-about considered as higher average CTR. Google Adwords(Build your ads, be a creative display ad builders, easily free customize your display banner campaign through your targeted color, images, logos, text, and sizes create your ads for free.Adwords CTR calculations, CTR is that the range of clicks that your ad receives divided by the quantity of times your ad is shown: clicks ÷ impressions = CTR. for instance, if you had five(5) estimated clicks and one thousand(1000) ad impressions, then your CTR would be zero(0).5%. every one of your ads and keywords has their own CTRs that you simply will you can see listed in your accountCTR calculation ads performing. Facebook Advertising - reviews for Facebook CPV, CPM benchmark standard average cpm rates by country start $0.05 up to $0.40 cost per thousand views. The average CPCs, CTRs and CMPs(civilian markmanship program) look like for retail advertisers and benchmark retail CPMs (Cost per Mille) for Facebook ads average rate estimated cost per 1000 impressions (CPM) based on Q3 was $7.19 (and $7.34 CPM for all brand objectives. The latest is you can now monetize Facebook publishers, named as (FAN) Facebook Audience Network. It's a mobile advertising network that displays ads on the Facebook mobile app and mobile internet. It conjointly feeds ads to different apps and mobile websites through what it calls the “Audience Network”. It improves performance and expands the reach of the advertisers. The advertising networks mentioned above are the biggest companies actively operated long time ago even today. They can help brand owners, online marketers to succeed. Typically it will succeed in finding the right average CPM rates by industry. Brand owners(advertisers) can control which country your ad will visible, what type of site niche categories your ad will actively visible, either premium high traffic websites or low web traffic ranking. You can directly control (cpc)cost per click rate, (cpm) price to every thousand of your ads impression, (cpl) cost per leads, (cpa)cost per every acquisition (cpv)cost per views (cpi) cost per installs (cpd) cost per download. Top Middleman Best Performance AdNetworks - Best Adsense alternatives good for gaming sites, entertainment sites, software sites, downloading sites as ad buyer pay into high CPM adnetworks. Best CPM Advertising Networks for Bloggers and Commercial Website Owner. Propeller Ads - Offers for display banner and mobile advertising network. Chitika - Delivering ad campaign solutions to make your websites and brands more valuable. Cpmoz - Pop Under Advertising Network that enables advertisers to connect with publishers from all over the globe. Adcash - Industry expertise with cutting-edge algorithms, powering the Adcash ad network and delivering relevant ad campaign. PopAds - Pop Under Advertising Network. Based on publisher experienced Popads average (CPM) rates is higher start $ 0.60 up to $1.50 in countries unique visits US, UK, CANADA, FRANCE and AUSTRALIA. Adalah - Best ad network for low traffic. Revenuehits - Innovative ad performance network, helping publishers generate more revenue advertisers can geo-target campaign. Infolinks - Innovative smart ads campaign. Mobile Advertising Network offered CPM, CPC, CPI base on monetizing and advertise. There are 5 major several types of business models through mobile campaign – CPM, CPC, CPI, CPA and CPV. CPM (cost-per-mile) type, an advertiser is charged each time her or his ads are shown 1,000 times (so-called ‘a mile’). It’s the best business model for publishers, because it allows making money every time an ad was displayed. If they have a stable predictable traffic, it allows publishers to forecast their revenue. CPC (cost-per-click) model an advertiser is charged for each click made on her or his mobile ads. This model works better for advertisers, because it allows them to pay only for instances when an interest to their product or service is explicit (their ads were clicked) and, as mentioned above, in some cases may work for publishers as well. For a publisher, this model always presents a certain risk of him serving lots of ad impressions for free. CPI (cost-per-instal) model implies that advertisers are charged only when a click on their ads resulted into an actual mobile app install. It’s a specific case of a more generic CPC business model. Cost-per-install price has become one of the most important metrics for mobile app marketers to measure and keep track of because essentially it represents a price they pay to acquire customers and hence it should be a factor into ROI calculations. CPA (cost-per-action) type is a more advanced version of CPI, when an advertiser is charged for specific action (in-app sale, subscription, form submit, sign up and more) users take inside an app that is advertised on a mobile ad network. This type of a business model presents more opportunities for publishers to monetize their inventory on one hand and more options for advertisers to grow their business on the other. CPV (cost-per-view) type is applicable to mobile ad networks that provide advertisers with video ad campaigns. With this model, advertisers are charged for each instance their video mobile ad was viewed. With the current pace of a video advertising growth, this model becomes more and more popular. Admob - Smart mediation, offers in-app advertising, native ad display, banner ad size display advertising. 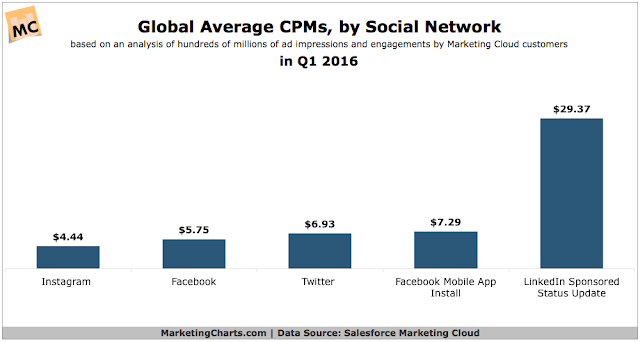 Admob CPM rates 2017 started estimated to cost reached at $10 per thousand ad impression. Average (RPM) revenue per thousand impressions starts to monetize share at $1.70 for premium countries high CPM rates. Mobfox - MobFox is number one, most popular advertisers "SDK" mobile advertising platform in Europe. SDK supports, in-app monetize revenue to the publisher, app developers with minimum payout $50 to extend the highest paying inventory and video ad serving platform. Offered highest eCPM rates start ( $0.10 up to $4.00) may control features. Brand owner advertisers can set Minimum CPC/CPM floor limits to tame. Make sure that Mobfox ad serving platform will drive only display ad to the relevant ads that pay monetizer price they want. InMobi - one of the best mobile advertising network, operated at very age of mobile platform campaign. InMobi enables advertisers, per CPM, CPC, CPI, based. Offered most comprehensive video and native monetization platform. AdColony - Elevating mobile advertising networks by focusing on the highest quality consumer experiences that deliver outcomes for brands and publishers monetize high CPM rates. Chartboost - One of the largest mobile games-only ad platform to increase revenue monetize rate and discover new players mobile game developer success. Applovin - Discovered in 2012, is a mobile marketing platform provides marketing automation and analytics for brand owners that want to reach new consumers based mobile platform. Smaato - The first mobile platform offered free ad server for publishers, app developers, agencies, DSPs and ad networks to monetize your app or get targeted mobile traffic. Airpush - Mobile ad network open for android app monetization reviews. The company adheres to all guidelines required by the Google Developer Policy and the play store compatible on android, iOS and mobile web. The eCPM start $5 in the USA and $2 in all other countries advertising rate through the highest standards of transparency and consumer controls in the industry to a self-serve mobile ad network that enables clients to purchase inventory to all major mobile RTB exchanges using a single, world class interface. Aipush monetize cpm rates $1.20 in USA country with an average cpm rates up to $0.80 app developer revenue share in all countries. StartApp - Mobile ad network review good for monetization and open for app advertiser worldwide through mobile platform to help reach brand impact pulse driving high CVR ads (conversation rates) · iOS & android, high eCPM rate up to $3.17 exclusive in (US) traffic for interstitial ads. 6 types of ad campaign like; 360 ads, interstitial ads, native ads, app walls, video ads, virtual reality ads. US - $4 to $6 | countries high CPC rate by industry are; business services, bail bonds, casino, lawyer, asset management. UK/CA/AU - $2 to $4 | Countries high paying keywords by industry are; casino, online gaming, finance, real estate, money transfer, insurance. New Zealand - $5 to $8 | NZ's high paying keywords by industry are; design, architecture, healthcare, education, accounting, logistics, trades & services, hospitality & tourism, Government departments. !!! !One of the reason, why (CPM) rates will decrease, because of content competition, wise budget spending and others situation. 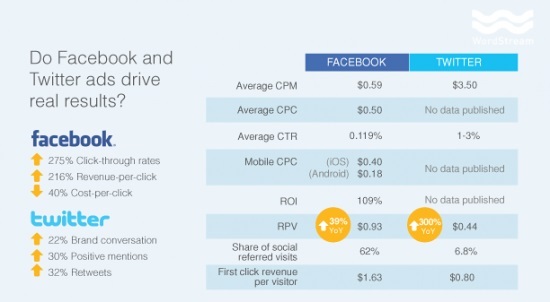 The higher click through rate (CTR) the lower (CPC) rates. The higher ads engagement the higher cost per thousand views (CPV). The higher traffic from premium countries the higher (CPM) rates monetizes revenue. 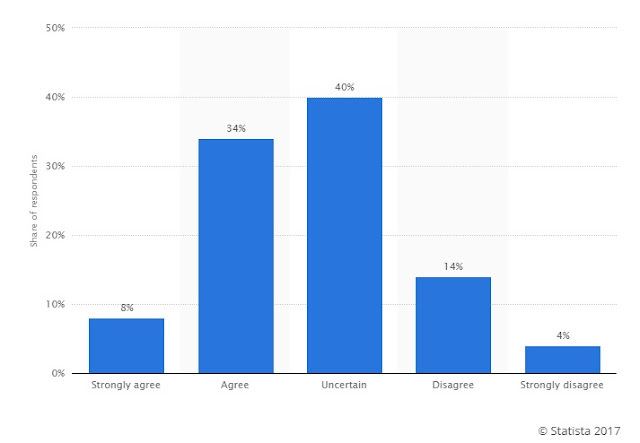 Advertisers and brand owners must be an advantage, if you read this short article reviews about advertising standard rate price to radio media stations operated online, local and international stream. The estimated average rate tariff, start at the amount of $500 - $3000 for every 200,000 up to 1,500,000 ad impressions served by the radio ad network station. The standard cost equation minimum rate of $1 CPM/1000 listeners, impression in one listener hearing an ad once - ten listeners each hearing ten ads is 100 impressions. The 500,000 points needed for the $1,000 reward, impression points carry over each month and don't reset until the operator has reached the target. Radio stations manually control the ads operates can opt-in or opt-out of the system at any time. The Different between Terrestrial and Online Internet radio streaming. Terrestrial radio stations can serve stream typically 12 ad units per hour, But internet radio ad stream it will possibly serve 1 ad units per hour. Steps in running your first estimated profitable Facebook ads benchmark campaign average (CPM) for social media ads calculation campaign to every different rates by industry. 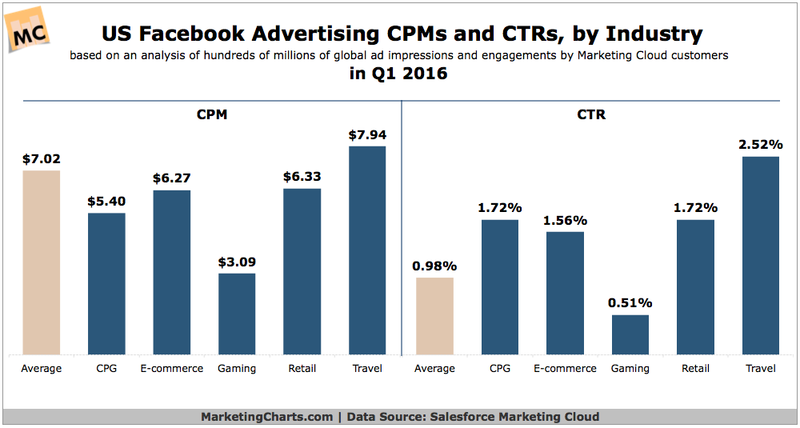 The month of June 2016 average (CPM) rates by industry standard most dominating (US) Facebook advertising (CPM's) and CTR's estimated by price list analysis of hundreds of million global ad impressions has engaged to a total average of $7.00 for (CPM's)with an average of 0.98% CTR's, sourced by Marketing Cloud customers. Latest Facebook statement effectiveness report. Based on estimated comparison analysis below, hundreds of millions of social media ad (CPM)engagement start from $4.00 up $29.00 average ad spending cost rate to all benchmark campaign categories source by salesforce marketing cloud.